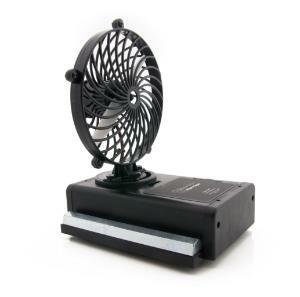 The fan has three speeds for studying the effect of variable thrust. Two mass bars let you change the total mass of the cart to observe how mass affects acceleration. The fan turns on a protractor base, allowing the thrust to be directed at a known angle from the direction of travel. In this way students can understand vector component applications.